Oh hey! I’m excited you found your way over here, are you starting to wondering if maybe there really is something to these essential oils? 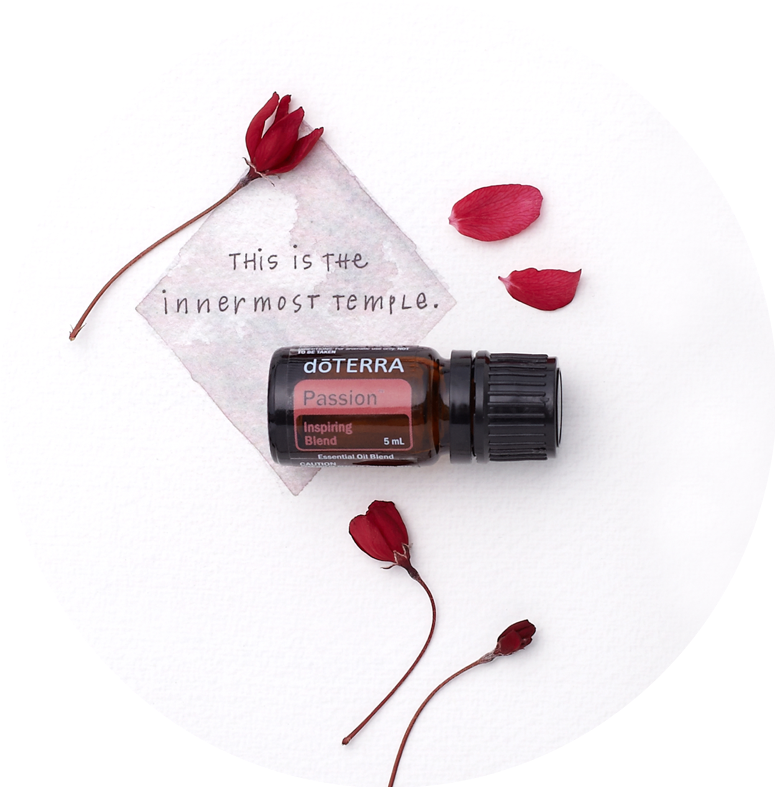 I’ve dabbled in essential oils over the years, but it wasn’t until I was introduced to doTERRA that I became completely obsessed! Essential oils have now found their way into every room in my house; always on hand when I need to boost my mood, sleep, digestion, or overall health. Think of essential oils as the plant’s immune system; plant’s rely on aromatic compounds to ward off pests, attract friendly pollinators and heal themselves from injury or infection. These compounds, found in the flowers, roots, leaves and bark, play an integral role in the longevity and resiliency of the plant. By extracting these compounds and incorporating them into our lives, we are able to benefit in much the same way as the plant. But, it’s important you’re selective when it comes to choosing a brand. With thousands of brands out there, most of which are diluted or contain synthetic compounds, purity is essential! I’ve chosen to align myself with doTERRA both personally and professionally because of their purity, first and foremost, and the lengths that they go through to ensure each bottle is produced at the highest quality, and sustainability. Products that are kind to the Earth and our bodies! How Does doTERRA Achieve These Standards? #1) Growing Conditions – Where plants are grown is huge in determining the quality of the essential oils. Location, climate and environment will determine the health of the plants and the life enhancing qualities of your essential oils. doTERRA’s products are indigenously grown in optimal environments and tended to by skilled farmers. #2) Co-impact Sourcing – doTERRA sources their products’ globally from over 40 countries, half of which are developing nations, building relationships with their partners to create better economies and lives. This model ensures global abundance; farmers are paid fairly and communities are supported by doTERRA’s Healing Hands Foundation, a foundation dedicated to empowering people and communities to make positive changes. #3) Commitment to Purity – doTERRA created the Certified Pure Therapeutic Grade (CPTG) stamp so that you know they stand for the highest quality, purity and sustainability. There is no governing body overseeing the essential oil industry, that means there is no reason for a brand to be honest about what’s actually in their bottles. DoTERRA offers absolute transparency, putting their essential oils though rigorous third party testing and sharing this information with you. This information can be found Source to You, doTERRA’s sister website providing critical information and reports on every single batch of essential oil. So you can be confident that your bottle contains only pure fabulous essential oil! The most cost efficient way to purchase is by setting up an account to get your doTERRA oils + daily products at wholesale price. The products arrive at your doorstep within a few days and you can opt into a monthly order to access the greatest rewards program ever. You can open your account for $42CAN and start shopping at 25% off, or you can start with a kit for additional savings. When you start with a kit, doTERRA waves the $42 wholesale fee and all of the guesswork and overwhelm is completely gone. Each kit offers a theme of oils chosen to meet your needs. Keep in mind that there is never an obligation to sell oils or order monthly with doTERRA membership. Absolutely no strings attached. Just the highest quality, purest oils available in the world today and a super simple way to have them delivered to your door. Click “Join and Save” to set up your account. Click your home country/language and where you'd like your oils shipped to. Choose Wholesale Customer if you'd like to use your oils purely as a customer, or Wellness Advocate if you're interested in sharing doTERRA and earning commission (whether you're wanting to cover the cost of your oils monthly or build a large business). Complete the "About You" page with your details (the enroller field should be pre-populated with my ID number, but if it's not just add in 5656899 so you are purchasing from me and joining my tribe). On the next page choose your Enrolment Kit. Enter in your payment information and hit “Process Order Now and Continue”. You can also set up your Loyalty Rewards order during this process if you choose, earning points, free products and getting access to incredible natural every day products for you + your home. How Will I know how to use the oils?! Don’t worry, we’ve all been there! It can be a bit overwhelming getting started but when you join our Wellness Team you will be supported by not only me but an entire tribe of amazing humans. Just like you we are dedicated to upleveling our personal health and that of our families. We believe in filling our lives with only the best and purest of natural products. Kickstart your wellness journey today with doTERRA and receive immediate access to networks and resources on all things essential oils. We’ve got your back! SIGN-UP AND RECEIVE PROMOTIONS AND UPDATES ON ALL THINGS ESSENTIAL OILS.